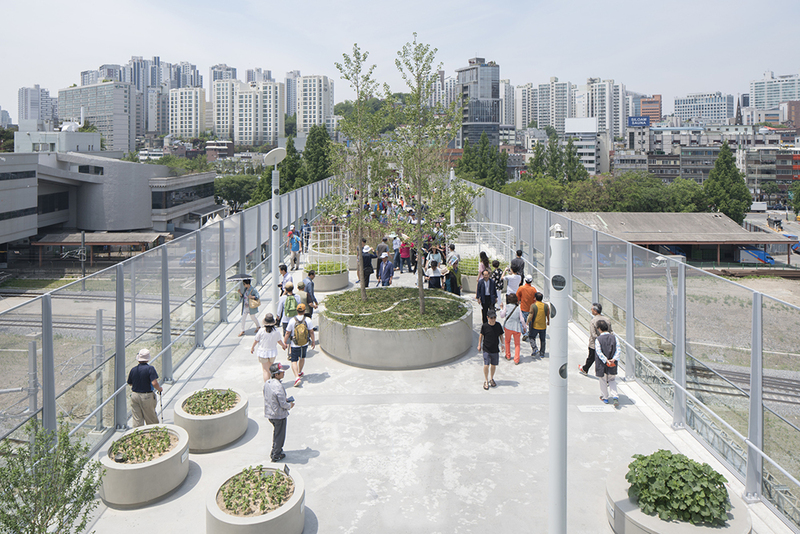 In the past few years, cities around the world have clamored to copy the High Line—a famous park in New York City that’s constructed on a disused stretch of elevated railway tracks—and build their own urban oasis in the sky. 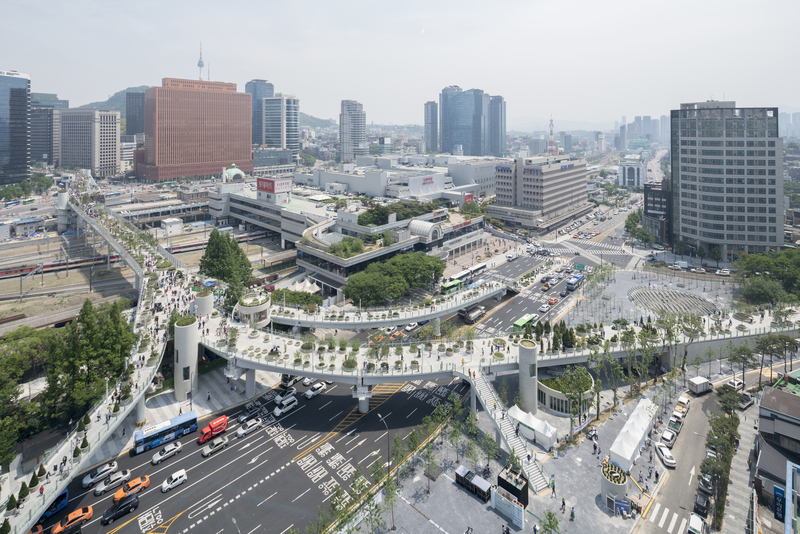 One of these cities is Seoul, South Korea, which recently unveiled a brand-new elevated park called Seoullo 7017. 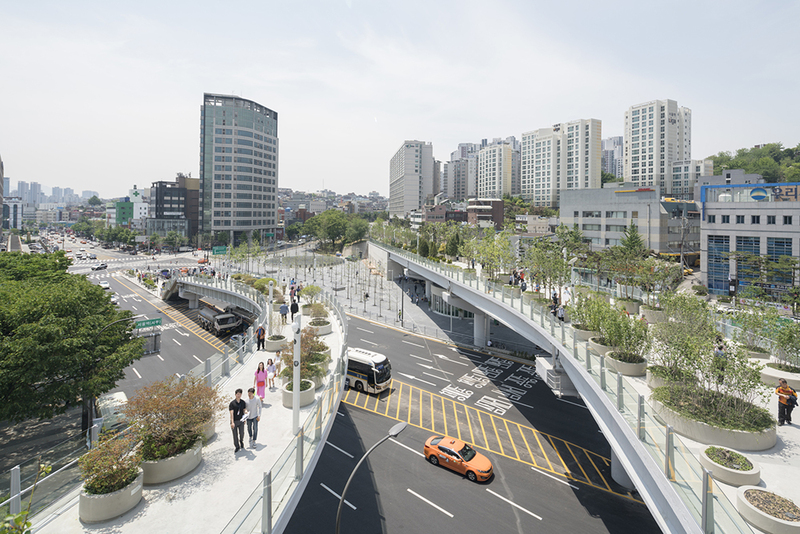 Seoullo translates to “Seoul Street” or “Toward Seoul,” and the number "7017" is a combination of 1970 and 2017, the years in which the highway and park were built, according to designboom. 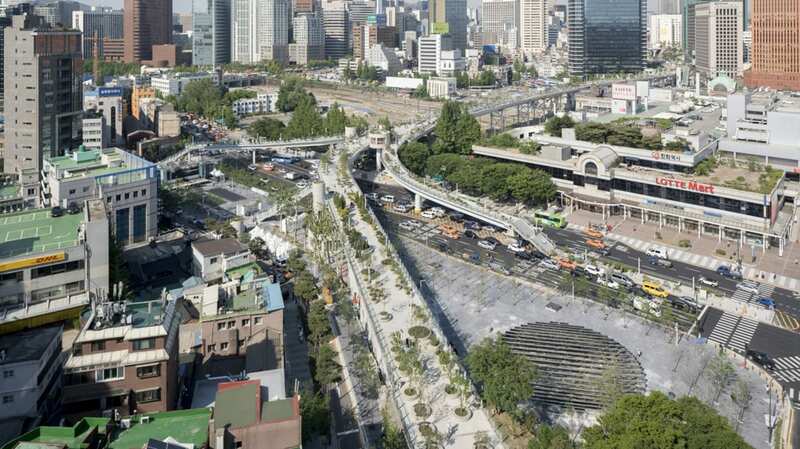 Stretching for more than half a mile, the park is built atop the former Seoul Station overpass, a highway constructed in 1970. 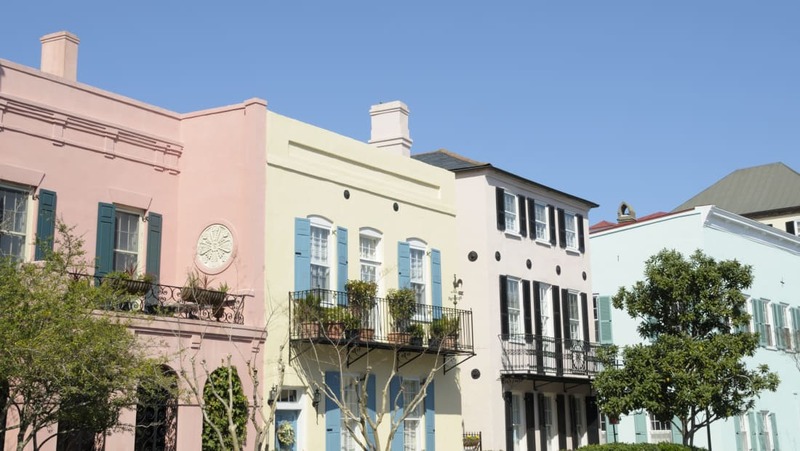 It was once slated for demolition—but now, it’s filled with trees, flowers, and shrubs, along with a handful of cafés and eateries. 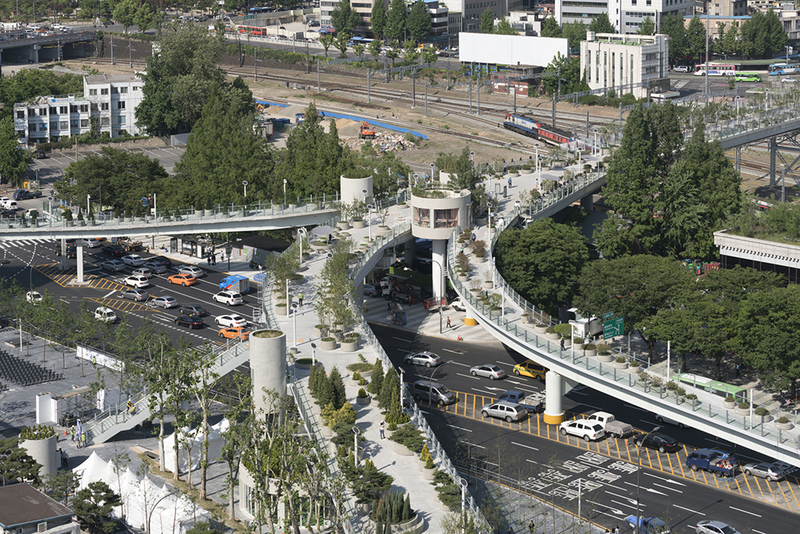 Bridges and stairs connect the walkway to hotels, businesses, and gardens at street level.